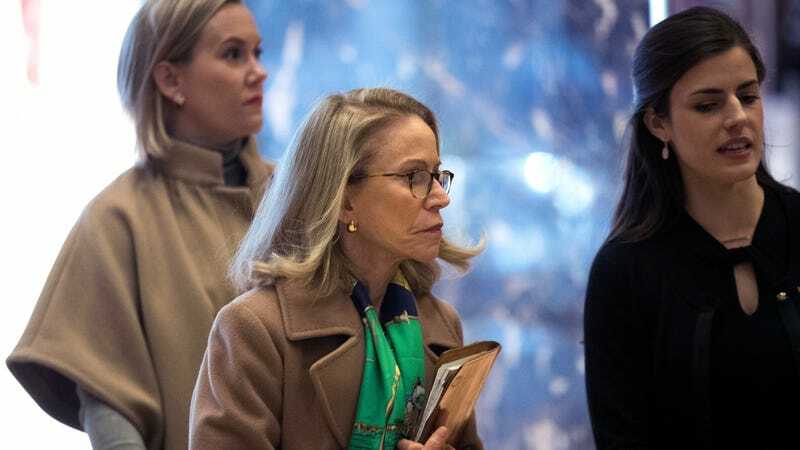 Donald Trump’s administration plans to withdraw climate change denier and White House senior environmental adviser Kathleen Hartnett White as its nominee to lead the Council on Environmental Quality, the New York Times reported. The CEQ chief is responsible for coordinating environmental policy across the various agencies that comprise the executive branch. Though the CEQ’s influence tends to be a matter of how important the president considers environmental issues, the Washington Post reported Trump has delegated it power to accelerate infrastructure projects. Democrats also assailed Ms. White’s writings in which she called renewable energy “unreliable and parasitic,” described global warming as “a creed, a faith, a dogma that has little to do with science,” and asserted that science does not dictate policy in democracies. In other words, Hartnett White is par for the course in an administration that proposed a right-wing radio host with no qualifications become the chief scientist of the Department of Agriculture, or stacked the Environmental Protection Agency with industry flacks and climate change deniers. According to the Post, she was only withdrawn for the CEQ role because the White House became concerned she could not pass muster for a final vote in the Senate, which the Republican Party currently controls—a fate which previously befell Michael Dourson, a toxicologist with ties to industry senators deemed too close to let Trump put him in charge of chemical safety at the EPA.